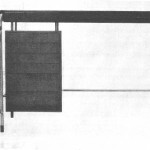 The Ant by Arne Jacobsen, one of furniture design's true classics, has been produced by the Danish manufacturer Fritz Hansen since the early 50s. The Ant Chair features the first use of a glued plywood construction principle, a construction method which means the Jacobsen Chair with its characteristic, delicate, ant shape can be made from a single piece of plywood. 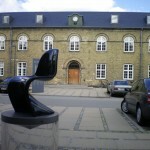 Fritz Hansen offers an extended warranty when you register your Ant Chair™ online at fritzhansen.com/MY-REPUBLIC. The registration of the product ID number must occur within three (3) months of the date of purchase, otherwise the extended Warranty is not granted. Ordinary, normal, wear and tear are excluded from the warranty! Datasheet Please click on picture for detailed information (ca. 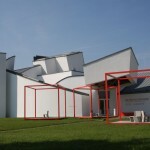 0,6 MB). 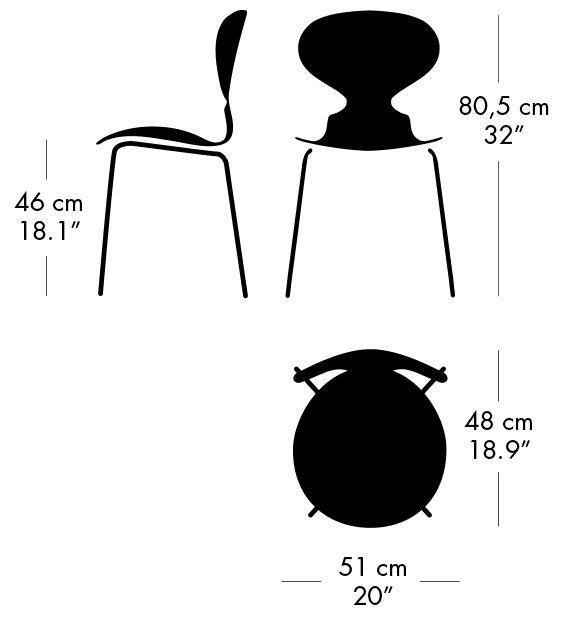 The Ant Chair by Arne Jacobsen was originally developed in 1951 for the canteen of a Danish pharmaceutical company, and is marketed today by Fritz Hansen. 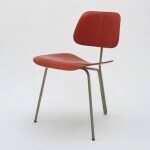 As a design the Ant Chair was far ahead of its time, something largely due to the characteristic form and on the other due to its revolutionary manufacturing process: the seat shell of the Arne Jacobsen chair is moulded from a single piece of layer, glued plywood veneer. 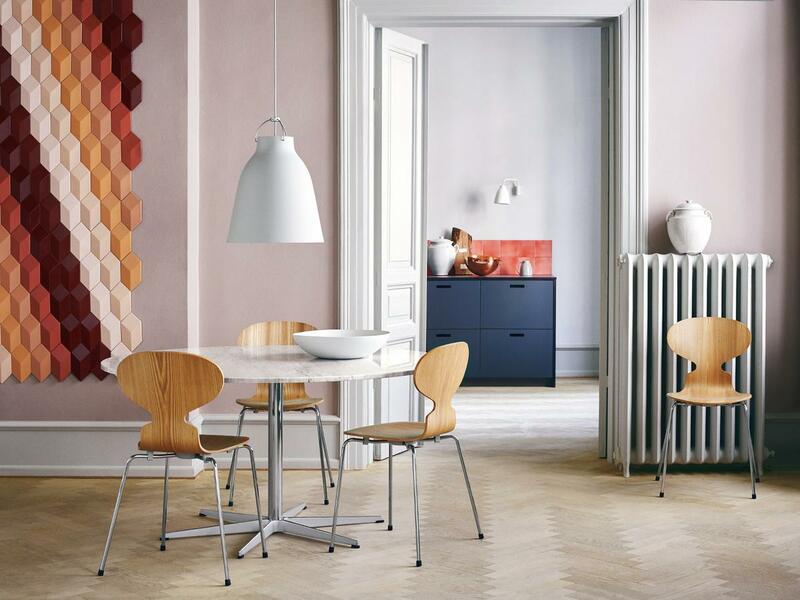 The specific method gives Arne Jacobsens Ant its minimalist, delicate shape in addition to its elasticity and comfort, and thus the ability of the Fritz Hansen chair to adapt to the movements of the occupant. 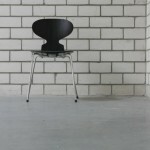 After initial skepticism on the part of the manufacturer the Ant Chair quickly developed into a much loved and true design classic. 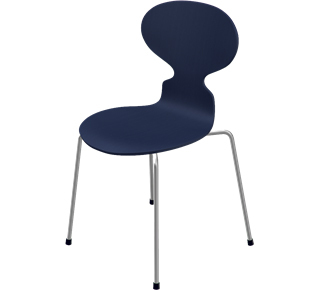 The Fritz Hansen Ant Chair is produced in different versions and in two sizes and is suitable as an all-purpose stackable chair for canteens, conference rooms and offices ..... as well as for the domestic living area. 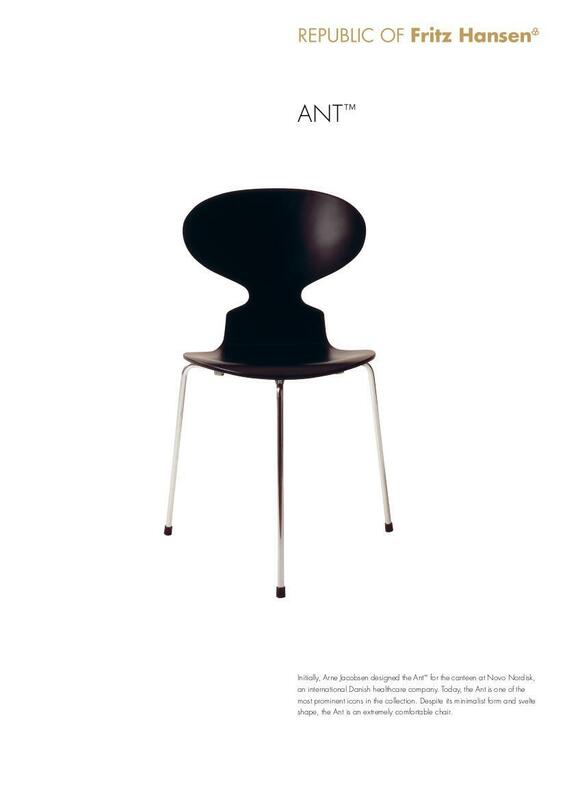 In addition to the Ant Chair Arne Jacobsen also designed other design classics, including the Series 7 chairs, the Swan Chair and Egg Chair. 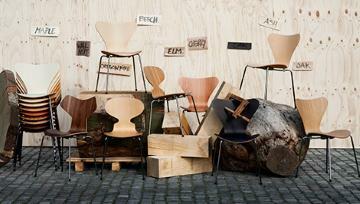 Happy 60th Birthday The Ant Chair by Arne Jacobsen!